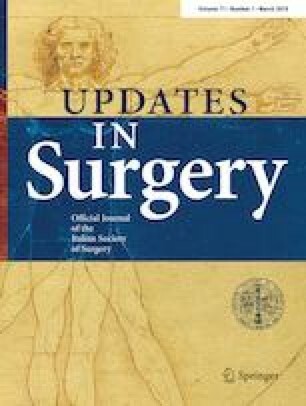 Surgical training is considered to be very stressful among residents and medical students choose less often surgery for their career. Our aim was to assess the prevalence of burnout and psychological distress in residents attending surgical specialties (SS) compared to non-surgical specialties (NSS). Residents from the University of Bologna were asked to participate in an anonymous online survey. The residents completed a set of questions regarding their training schedule and three standardized questionnaires: (1) the Maslach Burnout Inventory, assessing the three dimensions of burnout: emotional exhaustion (EE), depersonalization (DP), and personal accomplishment (PA); (2) the Zung Self-Rating Depression Scale; (3) the Psychosomatic Problems Scale. One-hundred and ninety residents completed the survey. Overall, the prevalence of burnout was 73% in the SS group and 56.3% in the NSS group (P = 0.026). More specifically, SS reported higher levels of EE and DP compared to NSS. No significant differences between SS and NSS emerged for PA, depression, or somatic problems. The present findings indicate that burnout is more prevalent in surgical residents than in residents attending non-surgical specialties. Oral presentation at the European Surgical Association (ESA) Congress 2018 (Trieste, May 11–12). The authors would like to express appreciation to the residents who participated in the study. All procedures performed in studies involving human participants were in accordance with the ethical standards of the institutional and/or national research committee and with the 1964 Helsinki Declaration and its later amendments or comparable ethical standards. This article does not contain any studies with animals performed by any of the authors. Institutional review board gave ethical approval to perform this study.